Reading your favourite article on the web is just almost eating up your time and you have to give your 100% to the web browser and sitting in front of it. 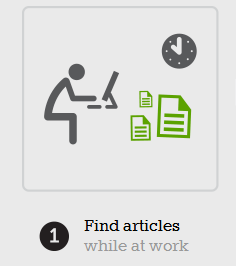 Being the multitasking person, a power user can do a lot if their favourite article is made audible to him. Just like music, one can enjoy the article and understand the content parallel to the task he doing which are require least your mind and more your physical attention. This will help you to save lots of time and makes your time more efficient. For same purpose, SoundGecko provides you the service that can transcript the Webpage or URL’s content to the MP3 format that can reside to your different storage device and even can be saved on Google drive and Dropbox. No doubt you will receive the MP3 in smooth format but the voice will be little robotic as you can listen in Windows speech recognition or like same in foxit reader. But this will never cause hindrance to you. So let me get to point how to proceed with it. Before you convert, first you need to decide the article that you need to read latter, oops sorry you are going to listen it, right? 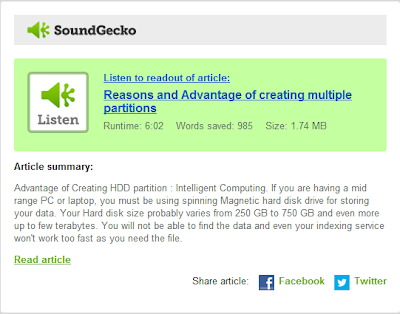 Copy and paste the URL of the web page, from where you want to listen the Article. Also you need to provide the E-mail Address; the Article will be converted to MP3 and will be sent to your E-mail address as attached MP3 files. 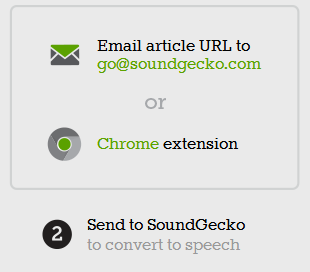 You can simply mail to the URL of the article to Go@soundgecko.com and you will receive the link to your MP3 article in return, after this, you can either download or listen it online. For those who uses the Google chrome, have an chrome extension (Install from here) which will quickly send the article to soundgecko and you can get the MP3 file of it. 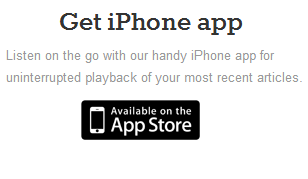 If you register yourself on soundgecko.com (For Free) you can avail some extra bonus facility like, you can save those MP3 to your Google Drive or Dropbox account by selecting the link to cloud service over there. Hoping this article will help you a lot. Leave comment below.